With such a vast selection of peripherals on the market, it can sometimes feel impossible to find the perfect product or one that you are best suited for. In our latest gift guide, we do all we can to make your decision for a new mouse and keyboard a much easier one. Could you imagine a brand-new computer system without a mouse and keyboard? Mad! That won’t happen when our resident peripheral gurus are on the case. Nate Marion will be giving all of his keyboard recommendations while Greg King tackles the mice. Without further ado, let’s slide right in! Those of you with HPTC users on your gift list may be interested in two new products that integrate mouse and keyboard functionality into a single compact device. Logitech’s diNovo Edge is easily one of the cleanest and classiest looking keyboards we’ve seen, and it’s got everything you need to control a media PC from up to 32 feet away, including a touch-pad with right-click, left-click and scroll functions, media control buttons and shortcuts. The included software allows some of the button functions to be customized, and the included charging stand helps ensure that batteries won’t ever be a problem. The price is steep at $160, but the styling, aluminum construction and great feature set are very convincing. For something a little less flashy and expensive, check out the VidaBox Wireless Media Keyboard. Size matters when it comes to wireless media keyboards, and the folks at VidaBox obviously understand that. Measuring in at just over 12″ long, the VidaBox Wireless Media Keyboard packs a ton of functionality into a very small space. 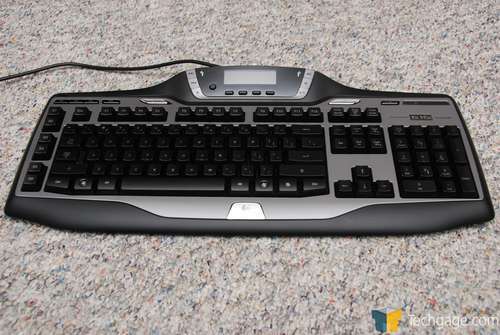 It offers a full keyboard, a trackball and right/left click buttons, and an array of media control and shortcut buttons. 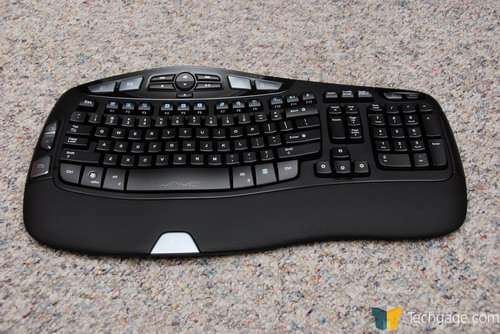 As with all keyboards this small, some sacrifices are to be expected, but the lack of numlock/capslock indicators and a scroll-wheel is easily compensated for by its 30-foot range, great battery life, easy installation and $63.00 price tag. If you know someone who’s had some trouble getting used to the unusual layout of most ergonomic keyboards available today, you may be glad to know that Logitech’s Cordless Desktop Wave takes a different approach to ergonomic design. We found this new approach to be incredibly comfortable without the hassle of re-learning key locations, and with the benefits of a set of media and shortcut keys, and customizable functions via Logitech’s driver software. The Cordless Desktop Wave includes an ambidextrous mouse and can be had for $90. A wired version of the Wave keyboard only can be found for under $40. Microsoft offers most of the other options for ergonomic design. The fairly standard Microsoft Natural 4000 is available for under $50, with while the newer 7000 series includes an ergonomic mouse and can be found in the vicinity of $120. Finally, the well-known Comfort Curve 2000 is a bargain at $20. Gamers have a lot of choices these days. 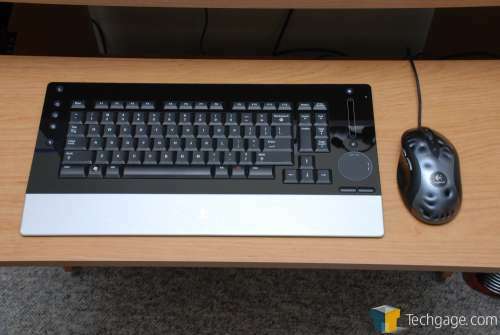 There are a lot of companies constantly trying to earn the extra dollars that gamers and PC enthusiasts are willing to spend on peripherals, the main focus being on programmable keys. Not all programmable keys are equal, however, which is why we recommend Logitech’s G15 keyboard above the rest. Logitech’s G15 keyboard has been at the pinnacle of multi-purpose keyboards for the past two years. The recently redesigned keyboard offers an LCD screen which can display a plethora of system information via user-created applications, a set of multimedia playback keys, and 6 programmable ‘G’ buttons with three modes each, for a total of 18 completely customizable macros. When it comes to programming keys, Logitech’s driver software is the best we’ve come across, and not only allows for complex macros of any length, but can also accommodate hold and release functions via Lua scripts, all of which can be shared online. The G15 also has all of its keys illuminated with three levels or brightness (including ‘off’). The G15 is a great gift for gaming enthusiasts and professionals who value programmable keys. The updated G15 can be found for $80, while the older version (larger, with 18 ‘G’ keys instead of 6) can be found for as little as $60. The Razer Tarantula is also worth mentioning because it offers much of the same features as the G15. With ten programmable buttons in and ambidextrous orientation, 32kb of onboard memory for saving profiles, and included pass through jacks for audio and a mic, the Tarantula is no slouch in the feature department. Its especially smooth and quiet key action is something to consider as well. However, priced at $80, it lacks an LCD screen and has much more limited macro functionality than the G15. For programmable keys on a smaller budget, the Microsoft Reclusa is a good choice, at about $50, and the Saitek Eclipse II offers three different backlight options for as little as $40.